The emotions in a cricket match in the sub-continent are always high and even this time, there are not any less and because of the way the game has proceeded, cricket fans from both the countries were emotional and praying for the country’s win. The final match between India and Bangladesh was nail-biting. After Dinesh Karthik hit the last ball for a huge six, India lifted the Nidahas trophy since India won the match by 4 wickets. The match was on the side of Bangladesh right from the beginning and it only came into the hands of India in the last 3 overs. The 18th over resulted in giving only one run and loss of Manish Pandey’s wicket. Manish Pandey is the only stable batsman at that time in the crease and he was looking to hit some big shots. After Manish Pandey got out, then came Dinesh Karthik and started smashing the Bangladesh bowlers. In the first three balls he faced, Dinesh Karthik scored 16 runs and India needed 12 runs from the last over. The ratio changed to 12 runs needed from 6 balls. At this time, Vijay Shankar was in the crease and he was missing out every ball he is facing in the bowling of Sowmya Sarkar. At this moment, every Indian cricket fan was hating Vijay Shankar for not hitting the ball and not giving a strike to Dinesh Karthik, who was hitting the ball bard. At the fourth ball, Vijay hit a four and the calculations to win the game changed from 5 runs needed from 2 balls and for the fifth ball, Vijay Shankar got out, but thankfully, the strike went to Dinesh Karthik. 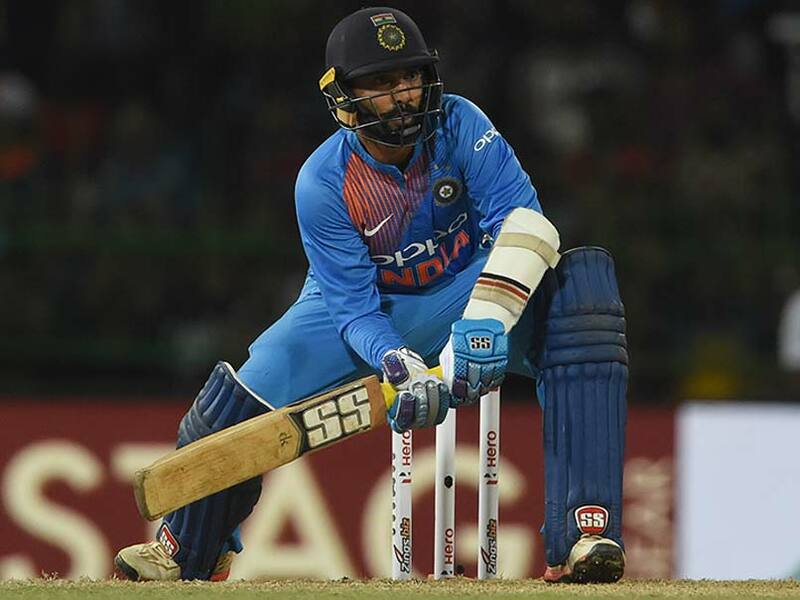 For the last ball, Dinesh Karthik, the 32-year-old cricketer with 14 years of experience in the international cricket, has hit a huge six for the last ball, and gave a memorable win for India. 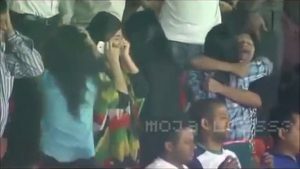 Here is a video where a Bangladesh cricket fan goes berserk after his country loses the match to India. As you can see, he is very disappointed with the result and starts behaving crazy.